No after-work martini for this little guy! 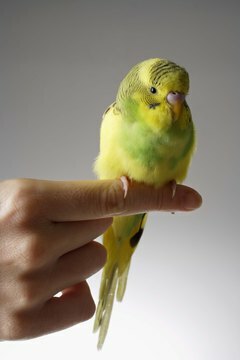 Bringing home the newest feathered addition to your family can be filled with all sorts of new joys and worries. One of the biggest things that novice parents are concerned about is what is safe and not safe to feed their new loved one. Avocadoes are unfortunately not safe for these guys, and neither is rhubarb. A little bit of tomato fruit probably won’t kill your winged friend, but if he decides to take down the whole plant, especially the leaves, that can be a different story. Asparagus not only smells bad, it is also a bad idea for birds to eat. Add eggplant, onions and olives to the no-fly list. Parsley is a fun herb for humans but isn’t part of the birdie diet. Mushrooms and spinach should also not be on the menu. Apple and pear seeds should be avoided. So should the pits of apricots, cherries, peaches and plums. Raw peanuts should not be given to your feathered companion. A nasty thing called hemaglutin is present in dried beans and can be dangerous for birds. Once the beans are cooked, however, they are perfectly fine to ingest and many birds find them quite enjoyable. Just so we are clear, you should not be feeding your birds alcohol! You will also want to avoid giving your birdie anything with caffeine, such as coffee or tea. Carbonated beverages are also not a good idea, neither is cow's milk. Like many other animals, chocolate is a big no-no for birds. Just like humans, salty foods, sugary treats and butter are not healthy food choices. Also, keep him away from your houseplants to be on the safe side. Try not to let him nibble on those cigarette butts, either. Of the foods listed above, there are some that are more dangerous to birdies than others. The most toxic of these are chocolate, apple seeds, onions, mushrooms, avocado, dried beans, tomato leaves, high levels of salt and alcohol. These can be potentially fatal, even in smaller nibbles. The other foods listed can still make your little buddy sick, and in higher amounts could kill, so avoid them as well. Is Bitter Yuck! No Chew Spray Safe for Kittens?